Doing the lamkhaga-pass-trek with Rajesh as the guide was an amazing experience. 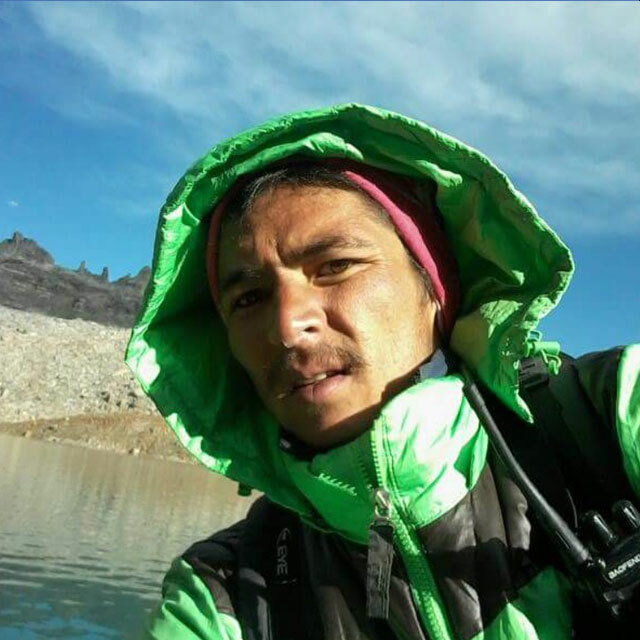 His knowledge about the trails and the technical expertise about all things trekking made it really easy to trek. You can always count on him on making the right decision in the mountains. Kudos Rajesh. Rajesh was my guide during my second attempt to summit Stok Kangri in 2015. He looked after me very well, offering me water and food periodically. He is a serious, confident and strong young guide who makes you feel safe and secure even in harsh and difficult conditions. Rajesh Thakur is an amazing guide and a great company to be on a trek. I have been to dodital and gaumukh with him and I had a great experience. He is very helpful and keen to learn new things. He also is very much experienced in such a young age. I had a great time with him as my guide.